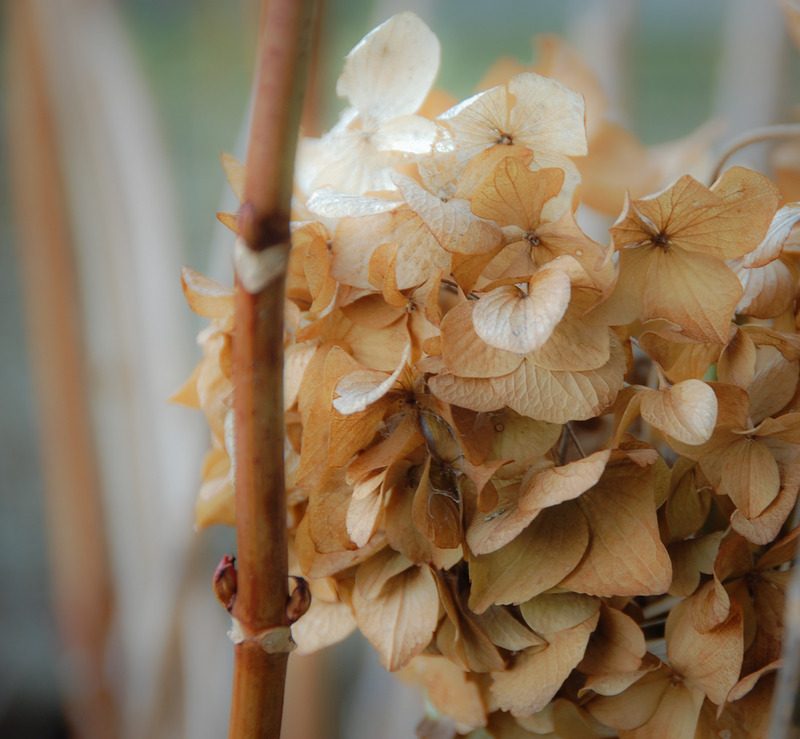 A photograph taken in Frankenmuth, Michigan of a spent hydrangea. I’ve always loved the beauty of the rough and tumble in life – worn down barns, peeling paint, a rusty old Ford truck abandoned in the field. I also love beautiful flowers that are just passed their peek beauty, which is probably why I love autum so much. Such rich, deep colors of earth and nature. This photo represents all that I love about the rustic feel of nature.